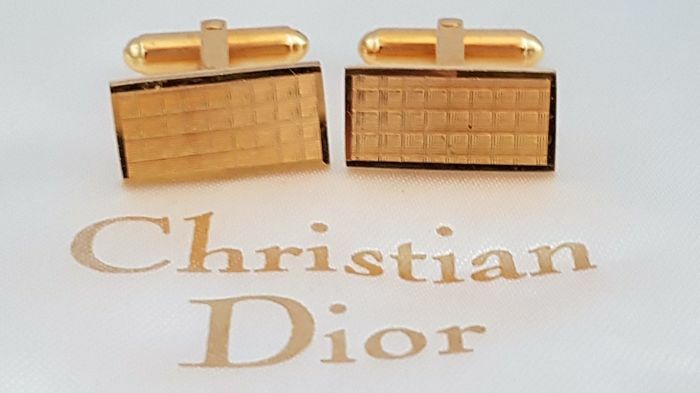 Vintage French couture Christian Dior cuff links nugget style. 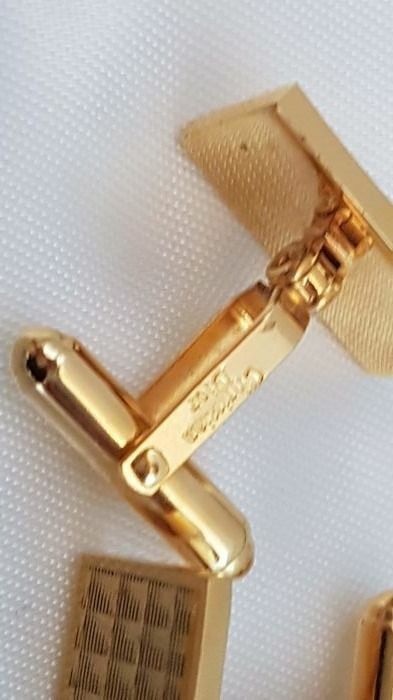 Gold plated with squire shapes. 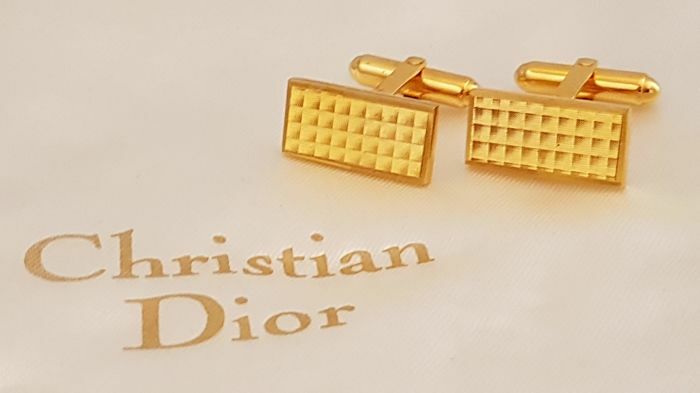 Condition: For it's age in very good vintage condition! 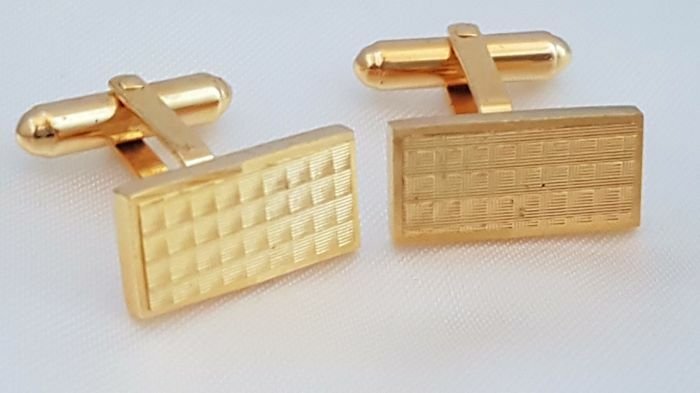 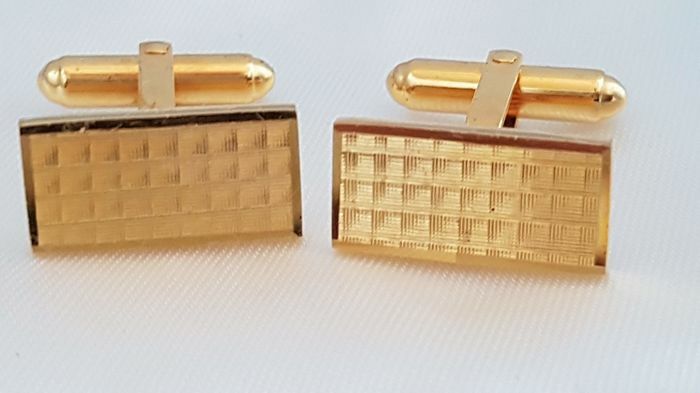 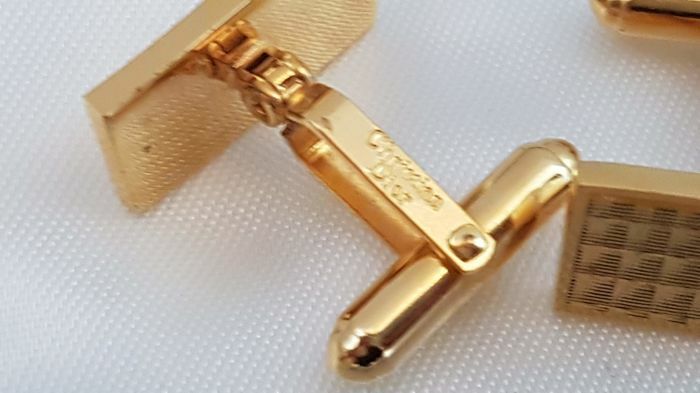 These sculpted gold nugget designed cufflinks would look extraordinary on any wedding or formal wear attire, hinged backs for a more customized fit.